Why Do I Love Nature? Read an article on my love for nature and a bit of my biography. Find the importance of nature in our lives. I grew up in a joint family involved in bidi business in a small town called Jabalpur in Madhya Pradesh in India. We stayed on outskirts of Jabalpur in green surroundings with plenty of wilderness. Often wild animals like deer, jackal, langur, hares, fox would stray in our compound. They came from Bargi Hills in the back ground which was then inhabited by leopards as well. Trees were in plentiful and so were the birds and butterflies. The snakes that emerged were instantly killed which is the sad part of the story. Hence right from the beginning I grew up amidst nature. As we grew up, it was impossible not to appreciate things around you. I was attracted to birds and butterflies and this lead me to become a nature guide in adult life. I provide services as nature guide in Central Indian Tiger Reserves like Pench, Kanha and Bandhavgarh. I also act as tour leader and guide in the North Indian Circuit. I am also involved in wildlife conservation which is deeply entrenched with my profession. Spotted Deer in Forests of Madhya Pradesh. During my younger days some shikaris (hunters) would come regularly to our home from Mumbai to hunt in the forests near by. Once they shot a tiger at Nauradehi Wildlife Sanctuary. It was more than nine feet and lay listlessly as the cobbler skinned it. It was a tragic sight for me more animals were shot for few rupees on license issued by the Government. Thanks for Wildlife Protection Act hunting stopped but that incidence had left a deep impact on me. Animals are innocent they kill only for food. Like I said I grew up in a very green environment that influenced my career choice. My father owned a Bidi business for which we had to collect tendu leaves during the hot months of summers. For this we had to stay in the deep interiors of Mandla Forests without any luxuries. We survived on basic necessities but we had a retinue workers to serve us. During my visits to the forest for collecting the tendu leaves I became closer to nature. Often we would encounter wild animals and birds. The encounter with snakes and scorpions were frightening nevertheless we learned to respect all creatures. I was so enamored by the wild creatures that I began to read books and magazine on Indian Wildlife. As time went past I bought a small camera which I used to photograph birds in my home and during the visits to the forest. This became a regular affair and I looked forward to tendu leaf collection every year. I borrowed my brother's camera to photograph nesting sun bird behind my cousins house. I photographed whole sequence and then wrote the accounts to publish it in popular Indian magazine called Sanctuary Asia. I also published accounts of nesting Asian Paradise Flycatcher with my photographer friend. This too was published in Sanctuary Asia thereafter. In nineties at Kanha National Park, hotels had been established to cater to burgeoning number of tourists in tiger safari. One of the hotel owner knew me well and he started to engage me as nature guide for his guests. Thus began my career as naturalist. This is the time I bought a good pair of binoculars and began to visit forests and water bodies near my town. Jabalpur has diverse habitats which enabled me to make an impressive checklist. Subsequently I was engaged as birding guide by a tour operator in India. I lead tours to North Indian destinations which opened greater vistas into my preferred career. This was hard work but it paid rich dividend as the Bidi business was not doing well. As I engaged my self more with my profession I realized that nature was much more than merely enjoying and appreciating it. The complex web of life, the food chain and the ecosystems began to percolate in my mind. I realized how important nature was to us. We are interlinked indelibly with our immediate surroundings and environment as whole. The human greed and consequent neglect of nature and natural resources are devastating the Earth. If proper conservation does not take place then we will be living in dire circumstances. Our coming generation will be paying the price. The rabid industrialization, use of fossil fuels and destruction of habitats crucial to the survival of endangered species are leading us to disaster. In India large scale destruction of grasslands, deserts, forests and niche habitats has resulted in extinction and critical endangerment of species. This process continues.in the contemporary era. This is happening every where in the World. Many societies have no concept of conservation practices as it exists in India to some extent. A couple of year back an NGO moved the SUpreme Court of India with the PIL to ban tiger tourism. Never has such an exercise conducted in futility. Large scale movement of public machinery and resource went down the drain and the PIL was not successful. How can access to public inheritance be denied? The management has been highly successful in the conservation units. I have been visiting parks like Kanha, Bandhavgarh and Pench for many years. While conservation practices were being implemented tourism continued. From the early destruction of forests ecosystems and large scale hunting the conservation units have come a long way. The forest cover has definitely increased and wild animals have grown in numbers. The large scale poaching at Panna and Sariska was due to connivance of poachers and some forest personnel. One fine example is that of Hard Ground Barasingha at Kanha National Park. All this in spite of tourism which is limited and governed such that it causes little disturbance to the animals and their home. AD HOC practices are in place such that areas are closed, reopened and human intervention whenever required does take place as deemed fit by the park management. I believe tourism plays important role in conservation. it acts as a pressure tool over the management as well initiates people into conservation. The new Guidelines set up by NTCA (National Tiger Conservation Authority) are also very useful. We have to keep in mind that large number of people do not have understanding of role that nature plays in our lives. Visiting the parks makes them understand the complex web of life and does away with the fear of other life forms. I keep on doing little bit for conservation. Since I started birding in early days I would hardly meet a fellow birder. In the present times the youth has become aware of natural wealth of India. Many youngsters are involved in digital photography and conservation of nature. The online networking sites especially Face Book has brought the community together. Nature lovers, conservationists, photographers and guides are all active online. 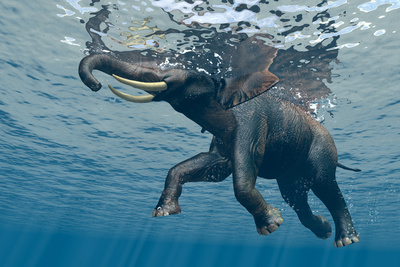 This has given a big boost to awareness campaigns and conservation all over the globe. I also deliver lectures and conduct nature treks for school children with the support of Jabalpur Forest Division. Using my abilities as small time guide I initiate young children into becoming bird lovers. I encourage them to include nature treks as part of recreation in their lives. We are in the process of creating a library on environment in a nature reserve at Jabalpur. 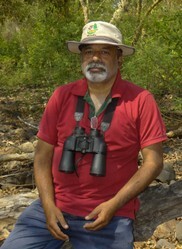 I maintain and update regularly blogs on Indian Wildlife and conservation in India. This is time consuming but nevertheless I can note down my natural history experience through anecdotal accounts of my adventures in tiger land. I will continue to work as a small time guide since I love my profession. I try to offer my best for protecting nature and help save the mute, beleaguered animals from becoming extinct. I wish to give all other life forms a dignified existence. I sincerely hope that the leaders of this Nation take positive steps to conserve the natural wealth we have inherited. India the land of Vedas should be the leading example of conservation in the World. I also work as website content writer and offers Internet Marketing service. I freelance for tour operators in Central India as tour leader. The multiple activities keep alive my interest as well as support my family. Thanks Cazort! I hope your love for nature fetches you more beautiful moments.! This was a beautiful story you shared here! I am also really passionate about nature, and went through this same process myself, first appreciating it on a more simple level, but then starting to understand the deeper and more complex relationships between the different organisms. I think that's great that you are able to have a job or career in which you can share your knowledge and passion with others!